Donald Pleasence, Patrick Catalifo, Jean-François Balmer et al. "Diên Biên Phú" is a 1992 film written and directed by French veteran Pierre Schoendoerffer. 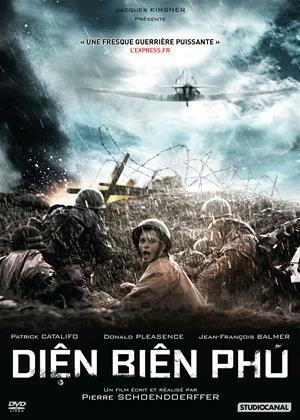 With its huge budget, all-star cast, and realistic war scenes produced with the cooperation of the French and Vietnamese armies, 'Dîen Bîen Phu' is regarded by many as one of the more important war movies produced in French filmmaking history. It portrays the 55-day siege of Dien Bien Phu (1954), the last battle by the French Union's colonial army in the First Indochina War during the final days of French Indochina, which was soon after divided into North and South Vietnam. This was a prelude to the Second Indochina War, known in the United States as the Vietnam War.